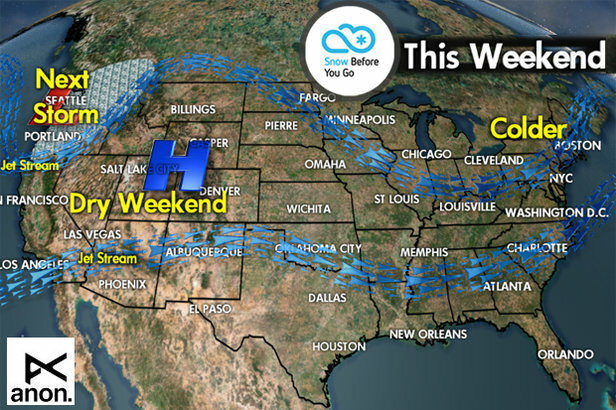 After some great snowfall this week across the West, the pattern this weekend looks much more tranquil. The one exception will be the Pacific Northwest where a powerful jet stream continues to usher a series of storm systems onshore with heavy snow for the Cascades. That storm will then spread snow across the West early next week. El Niño remains entrenched with warmer than normal water in the south Pacific Ocean. The odds are high that prevailing weather will continue to follow expected El Niño trends with heavier than normal precipitation in California and across the desert Southwest. The prime time for this Niño is December 2015 through March 2016. Colorado: A dry, sunny weekend is in my forecast. Enjoy the Colorado blue skies and recent snowfall. The next storm rolls in on Monday night and continues on Tuesday. Snow accumulation appears to be light to moderate. Utah stays sunny and dry this weekend with new snow developing Monday night continuing into Tuesday. Light to moderate snow accumulation. Colder air moves in behind this storm. California: Expect a mostly dry weekend with no new snow until Sunday afternoon into Monday. That storm should deliver moderate accumulations at Tahoe, Mammoth and Kirkwood. Northeast: Colder weekend highs move in behind a cold front. Except for a few snow showers Saturday, morning it looks dry until the middle of next week. Northern Rockies: Expect a dry weekend in Wyoming and most of Montana. The next storm pushes rain and snow into Idaho on Sunday. That storm hits Montana with mountain snow and valley rain on Sunday afternoon continuing into Monday. The snow then moves into Wyoming on Monday. It looks like a healthy storm with moderate snow accumulation. Tomer's Take: Ski at Wolf Creek on Friday, Loveland on Saturday and catch some new snow on Sunday in the backcountry of northern Idaho or western Montana. 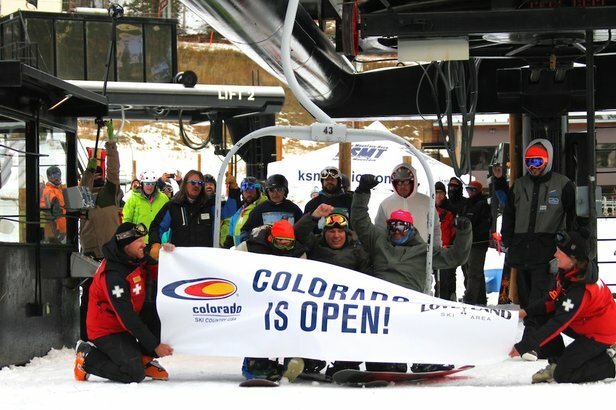 Check out photos of the first ski resorts to open for the 2015/2016 season.